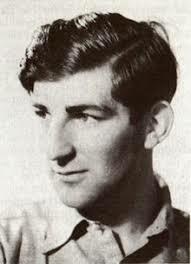 Keith Douglas died in Normandy two years later. Enjoy the Holiday Seasons and be thankful for the peace we have this year. It's Yuge! 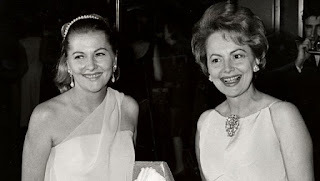 Speaking of war, Olivia de Havilland and Joan Fontaine were Hollywood's feuding sisters--leading ladies locked in a bitter rivalry that reportedly went all the way back to childhood. "I married first," Fontaine once commented on the enduring sibling spat, "won the Oscar before Olivia did, and if I die first, she'll undoubtedly be livid because I beat her to it!" On December 15, 2013, at age 96, Fontaine did indeed beat de Havilland to the grave. In 1939 on this date, the American film "Gone with the Wind" premieres, in Atlanta Georgia. The movie, based on Margaret Mitchell's Pulitzer Prize-winning novel, became an instant hit, breaking all previous box-office records and winning nine Oscars. Was the most famous “love child” of Hollywood’s Golden Era actually conceived when actress Loretta Young was “date-raped’’ by the legendary Clark Gable? That bombshell accusation broke Sunday at Buzzfeed, and it seems to me there are reasons to be somewhat skeptical. In case you forgot, December 15 is the first of seven Halcyon Days prior to the winter solstice when, according to legend, the halcyon bird creates a time of tranquility by calming the wind and waves. During this peaceful period, the kingfisher was able to lay her eggs in peace. 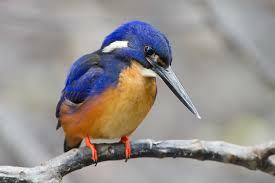 A magical bird, the kingfisher is a symbol of the Greek goddess Alcyon, daughter of the wind king.